Roast Veggie Salad - low carb. This roast veggie salad may not be one of the lowest carb dishes, but it is colourful, nutritious and so quick and easy to make. With all low carb recipes, choose the ones that fit into your carb requirements. Choose dishes that are carb appropriate. 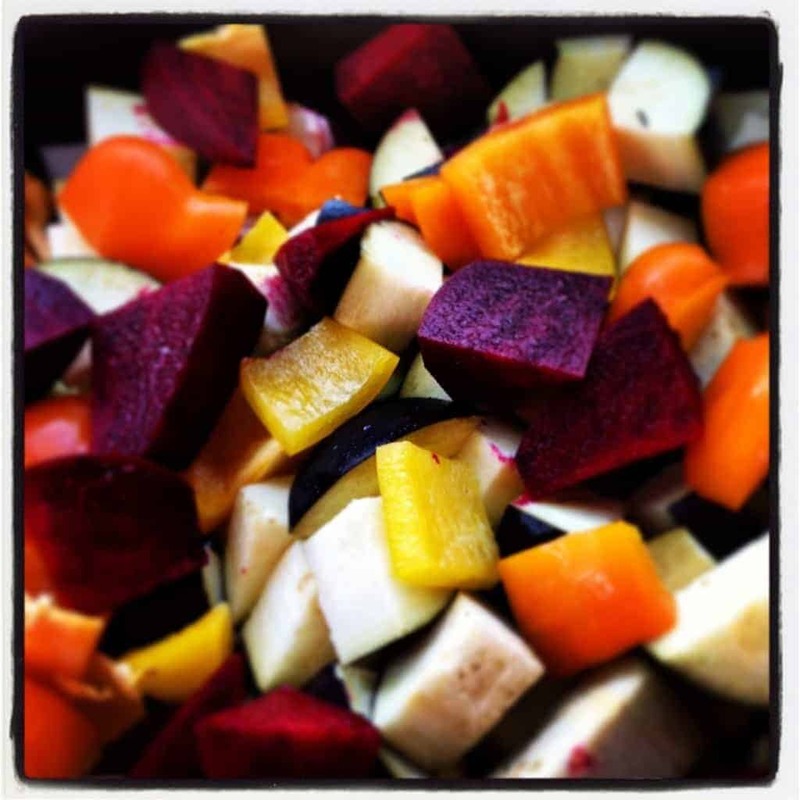 This is my favourite roast veggie salad that I make and eat ALL the time. Whenever I have the oven on cooking something else, I make a big batch of this. I chop up a couple of aubergines, red onion, capsicums, beetroot, carrots etc. Drizzle it all with olive oil and roast for 30-45 minutes, turning it all through once or twice. You can eat it hot, but I usually eat this cold for lunch topped off with feta cheese and more olive oil. Yum, yum,yum. Peel the beetroot. Cut all the vegetables into chunks and place in a roasting dish. Add plenty of oil (of your choice) and sprinkle with a little salt and pepper to taste. Roast at 180C for 45 minutes, turning occasionally. Add whatever vegetables you have on hand and flavour with herbs as you like. I sometimes add rosemary and garlic with a squeeze of lemon juice. Looks great! What is the nutritional info though? Thank you! That’s an old recipe before I started adding nutritional info. It would be hard to work out as everyone would throw a different section of vegetables in the mix and at different quantities. 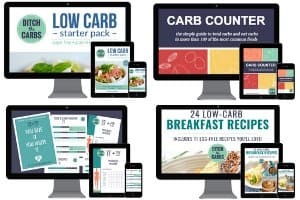 You can calculate your own through an app such as KetoDietApp.